The document will replace the Kyoto Protocol from 2020. The Verkhovna Rada of Ukraine on 14 July ratified the Paris Agreement on climate change, which was adopted in December 2015 to replace the Kyoto Protocol. 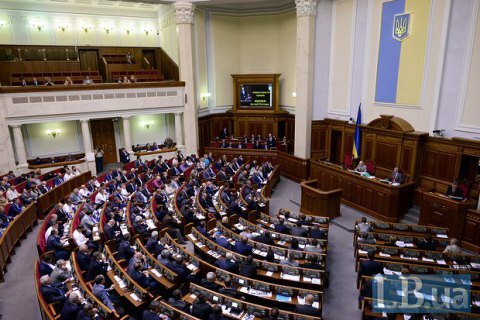 The bill №0105, sponsored by President Petro Poroshenko, was supported by 279 deputies. Ukraine became the 20th state to ratify the agreement. The document, approved by 195 countries, will replace the Kyoto Protocol from 2020 and envisages the allocation of investments for the preservation of environment by limiting the increase in average temperature below 2 °C above pre-industrial levels. The Agreement is meant to increase the ability to adapt to the adverse impacts of climate change and foster climate resilience and low greenhouse gas emissions development, in a manner that does not threaten food production. Without exception, all countries should take their national targets to reduce emissions, technological upgrading and adaptation to climate change. Evaluation of the implementation of the agreement will be carried out every five years, starting in 2023.